Fonterra's paying an interim dividend of 20c a share and is forecasting a full-year dividend of 40c, which it's planning to pay out sooner than usual to assist farmers in a difficult season. The 20c dividend will be paid next month and the current plan is to pay two more 10c stages of dividend in May and August - compared with the usual policy of paying the second half dividend in October. The forecast means that, with the current forecast milk price of $3.90 per kilogram of milk solids, farmers will get a total payout of $4.30 this year. See here for the full dairy payout history. Despite the slumping global dairy prices, Fonterra lifted its after tax profit for the half year by 123% to $409 million - as a result of putting more available milk into higher value products. Chairman John Wilson said the Fonterra board had considered an extension to the support loan provided early in the season which will total $383 million by April 2016, "but based on the solid performance of the co-operative in the first half it felt paying the final dividend earlier was the better option". Wilson said the timing of the dividend payments would help farmers’ cash flows at the time of the season that they need it most and is a specific response to the very challenging financial conditions our farmers are facing. The two dividends in May and August are subject to the board's’s approval at the time and Fonterra’s financial performance continuing to support its forecast earnings per share of not less than the current 45c to 55c forecast range per share. "The payments do not signal any intention to move away from Fonterra’s normal practice of twice-yearly dividends paid in April and October. They are also consistent with Fonterra’s dividend policy," Wilson said. Fonterra would also continue to support farmers with on-farm costs through competitive pricing through its Farm Source stores and through discounts secured on necessities such as fuel and power, Wilson said. The body representing Fonterra's farmers - which a year ago expressed disappointment at a then interim dividend of just 10c a share - said today's announcement was "in line" with its expectations. Fonterra Shareholders’ Council Chairman Duncan Coull said the decision to pay out an interim dividend of 20 cents per share, and to accelerate the final dividend payments, would be "very well-received" by farmer shareholders and go some way to alleviating immediate on-farm cash-flow pressures. “With the forecast milk price remaining at $3.90 per kg/MS, farmer shareholders’ expectations are that the value-add side of their business will provide them the much talked about counter-cyclical benefits," Coull said. “The results in this regard are encouraging in that the business, on the back of weaker global demand, has moved volume into higher value which has contributed to the lift in interim profit. “A clear focus on driving cash into the business is also evident in terms of free cash flow and a reduction in gearing ratio. “It is important that the board continues to drive the business forward as the performance of some business units, such as Australia, Venezuela and China Farms are having a negative effect on the business. Fonterra Co-operative Group Limited today announced a good performance in the first half of the current financial year, with normalised earnings before interest and tax (EBIT) of $665 million up 77 per cent on the comparable period, and net profit after tax of $409 million up 123 per cent. Chairman John Wilson said that the supply and demand imbalance in the globally traded dairy market has brought prices down to unsustainable levels for farmers around the world, and particularly in New Zealand. The strong New Zealand dollar has also had a negative impact on the Milk Price. “The low prices have placed a great deal of pressure on incomes, farm budgets, and our farming families. “Our priority is to generate more value out of every drop of our farmers’ milk by focusing on the areas within our control. We aim to efficiently convert as much milk as possible into the highest-returning products. “Our management is aware of the need for strong performance to ensure that we get every possible cent back into farmers’ hands during a very tough year. “We have lifted profitability from last season to this season, resulting in higher earnings per share to help offset low global dairy prices. As a result, we have delivered an interim dividend of 20 cents per share, up from an interim dividend for last year of 10 cents per share. “Our forecast Farmgate Milk Price of $3.90 per kgMS reflects low global dairy prices, with Whole Milk Powder decreasing around 17 per cent this season to date. Forecast total available for payout of $4.35-$4.45 per kgMS currently equates to a forecast cash payout of $4.30 per kgMS after retentions for a fully shared up farmer. “Our forecast total dividend for the current financial year is 40 cents per share. The Board has today declared a 20 cent dividend which will be paid in April. We intend declaring the remaining 20 cents per share in two dividends of 10 cents in May and 10 cents in August to help support farmers at a time when cash flows are extremely tight,” said Mr Wilson. These two dividends in May and August are subject to the Board’s approval at the time and Fonterra’s financial performance continuing to support its forecast earnings per share of not less than the current 45 to 55 cents forecast range per share. The timing of these payments is a specific response to the current, very challenging, financial conditions farmers are facing and does not signal any intention to move away from Fonterra’s normal practice of twice-yearly dividends paid in April and October. Chief Executive Theo Spierings said the Co-operative’s strong performance reflected a sustained effort in three main areas. “We focused on the efficiency of our ingredients business and capturing demand for ingredients in a wide range of markets. “We aimed to make the most of global consumption growth by building demand for higher-value products in our consumer and foodservice markets. Free cash flow for the six months to 31 January 2016 was $2.1 billion higher than the first half last year, with gearing at 49 per cent, down from 51 per cent in the previous year. “Finally, we maintained strict financial discipline to keep lifting our return on capital and our strong cash flow has enabled us to strengthen the Co-operative and reduce gearing,” said Mr Spierings. “Ingredients achieved normalised EBIT of $617 million, up 27 per cent compared to the first half last year. This resulted from improved product mix returns, and the increased production and cost efficiencies coming from our investments in plant capacity in New Zealand. “In consumer and foodservice we have delivered very good growth, with normalised EBIT increasing 108 per cent to $241 million. We remain focused on growing demand, especially in the eight markets where we currently hold or want to gain leadership or a very strong position: New Zealand, Australia, Sri Lanka, Malaysia, Chile, China, Indonesia and Brazil. These are well established markets for Fonterra, so we are working off a strong base. 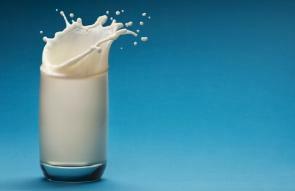 “The additional 235 million litres of milk we converted into higher-returning consumer and foodservice products in this six month period built on the additional 600 million litres last year. Current global economic conditions remain challenging and are impacting dairy demand and prices, said Mr Spierings. “The balance between available dairy exports and imports has been unfavourable for 18 months following European production increasing more than expected and lower imports into China and Russia. This imbalance is likely to continue in the short term, with prices expected to lift later this calendar year. Mr Wilson said the Co-operative’s solid performance was set to continue. “The business will continue to work on capturing demand and margins in the second half of the year, just as it did in the first half, by focusing on our consumer and foodservice volumes and those of specialty ingredients. “We remain firmly on track to achieve our forecast earnings of 45-55 cents per share, ahead of the 40-50 cents per share we indicated at the commencement of the season. The record date for the interim dividend is 8 April, and the payment date is 20 April. The Co-operative will continue to offer a dividend reinvestment plan, at a discount of 2.5 per cent to the strike price. Eligible shareholders who want to participate for the interim dividend need to submit a notice of participation by 11 April 2016. I fall else fails you can always buy a bit of love. A there's so many things that could be said to that comment Andrew, cheap whores and such, the possibilities are endless.
? Australia, China farms. They use litre as the measure for tallying how much they shifted to add value, looks bigger still only minimal. The glass is half full not half empty redcows - they increased it. Better than a decline. ;-) Not a lot of help for the the non dividend receiving sharemilkers though, unless their farm owners decide to share it. Yea as a sharemilker I shouldn't really bother myself about it. But we get all the emails and other rubbish so it's hard not to take notice. The frustration comes with the knowledge that we are all in a position that if the industry leaders had achieved half of what they have talked about for the last ten years, we wouldn't even be close to here. And the use of big numbers to fool the likes of the media by them not having any realisation of their meaning. For instance $409m, huge, but in what context. Red cows, do u get a share of dividend? No we don't CO. We're VOSM, we did when we first went back to dairying but then Fonterra changed the rules and sharemilkers discovered their collective asses were waving in the breeze with the likes of Fed farmers stoically looking the other way. Fonterra made it quite clear where sharemilkers stood, or at least wriggled thru the mud in their eyes. I actually agree with not getting the dividend, just hated the way it came about. The seperation is good until the thieving SOBs decided they couldn't afford to pay the milk price so we will just give the shareholders a free $0.50. (2013/14 season). Contract milking next season ($1.40/kg) subsisting on less than minimum wage for two years is not good. Instead of 'Dairy for Life' how about this for a new Fonterra logo. Hunan Dakang the Shanghai Pengxin controlled publically listed company ,(previously chaired by Gary Romano, who simply did a runner) is currently suspended since the 13/3 on the SSE awaiting an announcement. ( It may relate to the Kidman farms in Australia or it may be another Pengxin crush the shareholder move). Pengxin which has a 55 percent stake, currently is sitting on a 90 USD million paper loss . This private company will be spewing cash , gold mining, copper mining, soybean . Thankfully it did not overpay for the Crafer farms and will appreciate the advanced Fonterra payout. Didn't they switch supply to Miraka last year or so? Happy to be corrected on that. Casual observer, my understanding three quarters North Island (crafer) milk to Fonterra, one quarter to Miraka for UHT product. This year Miraka has signed a MOU with the Chinese group for further supply into the Chinese market, given Pengxins apparent business/supermarket contacts. Now that was the same argument that Shanghai Pengxin used in its OIO application, that it had widespread supermarket contacts and was in the process of rolling out multiple centres( hotel/ shpping/supermarket) under the Aqua City brand. Well that has not happened ,just tailoring for the application. Yet only 1 mortgagee and 1 receivership Dairy farms on trademe, so it may be that everything begins in June. Dairy prices are still well above what you would call a bargain. The asking prices mean nothing. Absolutely nothing. The rural land agents know it, the banks know it, and even some of the farmers themselves know it. Its laughable......asking $35 -38 per kg on a $3.90 payout. Do they actually want to sell or do they just like the look of the advert? Its a valid question. I'm looking to buy land and if these guys want to mess around trying to hang their prices up high, fine go ahead. I'll just buy at mortgagee sale. Its their choice. I hear you Wolf of Queen Street. What minimum % drop in land value do you need to make your figures viable? If a private or public company treated their shareholders like the board,shareholders council and management of Fonterra does.They would be driven out.Why we continue to put up with this continuing ineptitude and egos,is beyond me. If you owe 6.9 billion how can you afford to pay a dividend?? I'm not too smart at accounting, but how can they increase debt by billions within a year and still make a big profit? Their debt to equity ratio is about 60% now which is getting up there. While Fonterra seems everyone's favourite whipping boy at present, todays result highlights the benefit of belonging to a cooperative and having ownership of the value chain beyond the farmgate. While their is a way to go with the value add strategy, and they have been woeful with their predictions of the scale of this downturn, its important farmers don't throw the baby out with the bath water. Those that bailed to OCD and are steering down the barrel of $3.55kg are learning that lesson the hard way. Key tells Fonterra not to take advantage of the Russian sanctions on the EU. I'm at a loss for words. "Fonterra did sell to Russia, despite European sanctions. Key said New Zealand had not imposed sanctions on Russia, and did not act bilaterally, but the Government had told exporters "don't take advantage of the fact that Europe for instance has put these sanctions on. Don't go out of you way". It's great how the world reacts to a crashed milk price, by producing even more milk. they did the same with oil and look how it's bounced... dairy could be the next crude! "European farmers have been hit hard by Russian counter-sanctions. For example, Brussels-based European farmers union Copa Cogeca, which includes about 60 agricultural organizations from all around the EU, estimates the losses triggered by the Russian food embargo at about €5.5 billion." "There has been a wave of protests from European farmers dissatisfied with milk products prices. Demand for milk in Europe has dramatically fallen since Russia, which used to be the largest buyer of EU butter and cheese, embargoed dairy products from the countries that backed anti-Russian sanctions." Downunda who is this great guy? I invite the comparison with OCD to see what the alternative looks like. skudiv The banks learnt a lesson last time, farmer reaction and unwillingness in general to participate in mortgagee sales means this time they are working differently. The listings are being "bank encouraged" and some of the banks are trying to leave something in the pot for the vendor to start again even if on paper there is no equity left BUT they are still forcing farm sales and have been for several weeks at least. Are you talking about forcing sales, or forcing listings? Mirakas contracts said they would pay 10c more than Fonterra. From next season they will be paying at a rate no longer tied to Fonterra. Tata is a closed shop, so controls the amount of milk it takes in Fonterra can't. Yili and Danone also control their supply growth and catchment. Tautua and Westland being cooperatives as well helps highlight the benifits of that model. Not aware of the payouts from the other private companies so happy to be enlightened as to how much more they are paying. skudiv The banks did the whole forced listings thing a year or two ago - we got involved in a couple - they were nothing more than valuation exercises for the banks. This time involves forced sales including several I know of personally. They include listings with phrases such as - sale due to - vendor ill health, vendor refocussing, vendor changing direction - among other phrases. The banks (at this stage) are doing it quieter and with more care for the vendors but they are happening. The banks appear to have had a big change in attitude since December when it became clear next season's payout could be another season with milk income below cost of production. Shaggers, for years now the West has been able to control the exports of agricultural produce. The countries with surpluses were NZ, Australia,Canada the USA and the EU, they exported all over the world with little or no competition and like a gentleman's, club divided markets between themselves, co-ops worked well, we all spoke the same lingo and lived by the same rulebook. We had a lot of benefits from that arrangement, but we no longer get to pull those levers. This year Russia will become the biggest wheat exporter in the world followed by Canada and the USA at 3rd. The countries rising in the export game are Brazil, Russia, India, China, soon Argentina, Columbia and so on. If you look at that beef link you will see that while the USA, Mexico and Canada have 120 million head of cattle, Brazil, Argentina and Uruguay have 263 million head, up 47 million head or %20 since 2005. The game has changed and Fonterra don't know the rules anymore. going to be a scary for bit. Cheap grain will equal cheap protein. No doubt you are right but I don't see how becoming a price taker at the end of the value chain is a better option. Hence the need to move out of the commodity space as much as practicable. Dairy farmers should look no further than their sheep farming neighbours to see what the alternative of a fragmented, leaderless, tribal and now increasingly foreign owned industry looks like. That would take a lot of capital that we no longer have. We could borrow but that hasn't worked so well in the past. Maybe. It's a bit line that " Pinetree Paradox" book DC highlighted again the other day. Ultimately we will never have the scale in commodities no matter how efficient we become. Dairy has gotten away with that to date but our chickens have come home to roost. Good news is they are adjusting albeit too late for some. I will use this true analogy of what is happening to some today. Me, I had just cause to go to emergency Hospital in middle of night..
Found the cause was a Kidney Stone, the pain was excruciating, but I am over it now...I trust and pray. Relief has come, they can fix just about any medical problem, over time, until death us do part. And mine was relatively easy to provide huge vast relief. Mostly out of my Taxpayer and self-funded portions. Pain relief and other medicines to give temporary relief, apparently will hopefully help fix itself as the stone passes naturally. Met an older guy, just starting portering and wheeling in the Emergency Room. His first day and given guidance by a younger guy, of what and where and how to become a useful member of the I must say, Wonderful team, in one way or another. Turns out older guy was an Dairy Farmer making ends meat. (My vegan son would have a fit, me saying that, I meet him halfway). Farmer is between a rock and a hard place. My stone was small, his overheads vast. Apparently had listened to the soft sell, the hard way, by guess who..... the main Overheads to farming, Government drivel, driving more expansionary propaganda to the wrong sectors, Fonterrors sales pitch and excessive lack of foresight, plus expansionary Fraud-u-lent Fractional Reserve Banking providing the downfall and wherewithal. I felt his pain more than mine and mine was excruciating as I said, but only temporary. His may last his lifetime as we have full recourse mortgages, a pension may, I say may, we never recover from, no matter how many hours he or some work. Guess which one of the four involved in this fiasco was ahead of the bigger and bigger money go round machine. The overheads, I was alluding to. And almost as naturally as punching the Farmer in the kidneys.